Step aboard and your first thoughts are how well maintained this vessel really is. 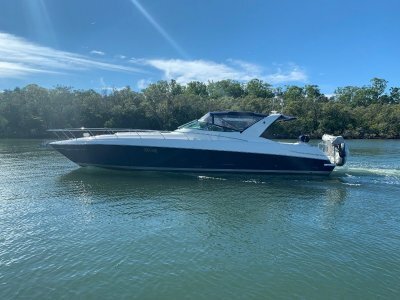 First launched in 2007,' the current owner has employed professionals to follow an "Open Cheque book" maintenance schedule and it certainly shows. With a beautifully crafted timber internal fit out, this Ocean Alexander offers a true nautical feeling that can lack in many of todays vessels. 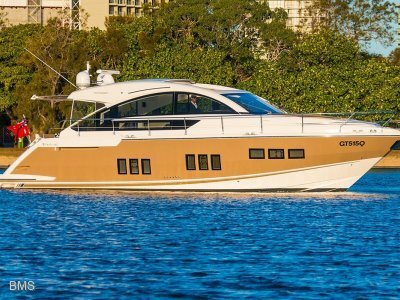 She boasts a two cabin, 2 head layout with the master double forward including ensuite. Off to port you will find a twin single cabin with two side by side beds and a second head off to starboard. The galley is well appointed with a perfect dinette area off to starboard. Moving further aft the large lounge/saloon area flows through to the ample size cockpit. 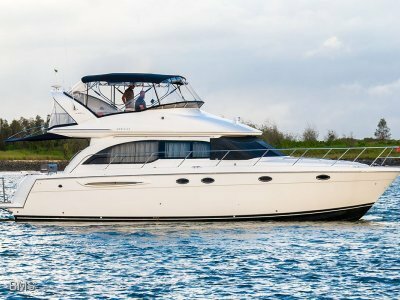 Upstairs you will find a fantastic size flybridge with excellent vision from the well-equipped helm area. More seating to starboard and a BBQ wet bar also. 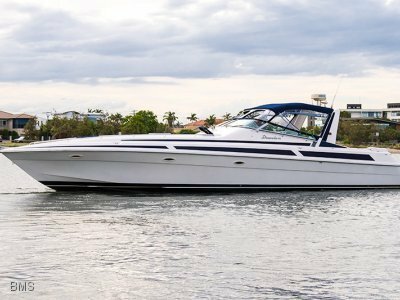 Equipped with a wireless Yacht controller and bow thruster, docking is a breeze. The engine room has a great layout giving plenty of space to access all areas. The quality of engineering is also excellent. Even the engine mounts are polished stainless steel. 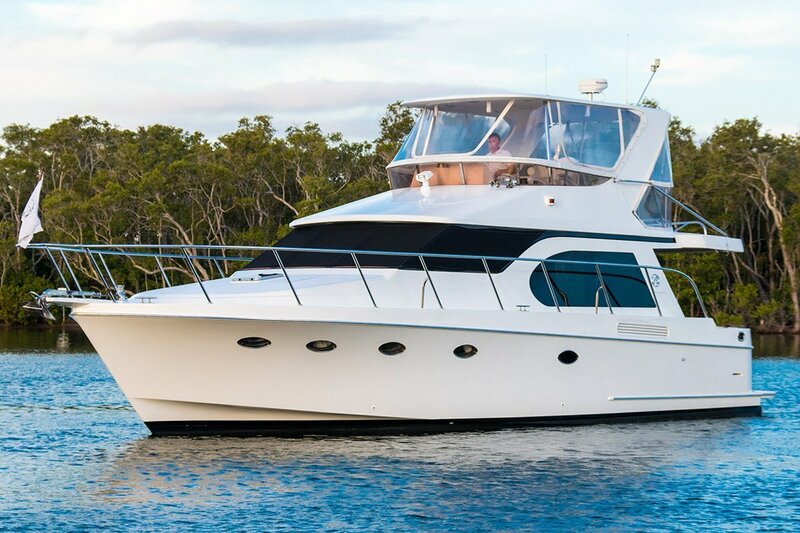 This beautiful Ocean Alexander truly is exceptionally built and maintained. Available for immediate delivery, book your inspection today. 2 Cabins, double forward with ensuite and 2 side by side singles in 2nd cabin. Norcold Fridge Freezer, Waeco fridge freezer to flybridge. Maxwell Vertical 1200.45LB stainless steel anchor with 75 metres of chain. Maxwell 1200 Electric anchor winch with 45LB stianless steel anchor. Beuautifully maintained vessel ready for immediate delivery.